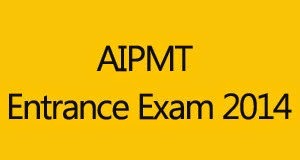 All India Pre-Medical Entrance Test 2014 is going to held on 4th May, 2014 and exam admit cards already have been released and available on the official website www.aipmt.nic.in. This examination is organized by central board of secondary education and results will be declared on the official website of CBSE. For the candidates who had paid the exam application fees after the last date of fee submission i.e. late fees applicants can download their admit card on or after 10th April, 2014 from the same website aipmt.nic.in. Candidates registered for All India Pre-Medical Entrance Test (AIPMT) 2014 with late fees will be able to download their exam admit card on or after 10th April, 2014, from the following direct link given below. Candidates are required to download their AIPMT 2014 Admit card online only, no admit card will be sent by post or any other medium. Admit card will have use till the admission process would get completed, into any medical or dental college/institute/university, so keep it safely.